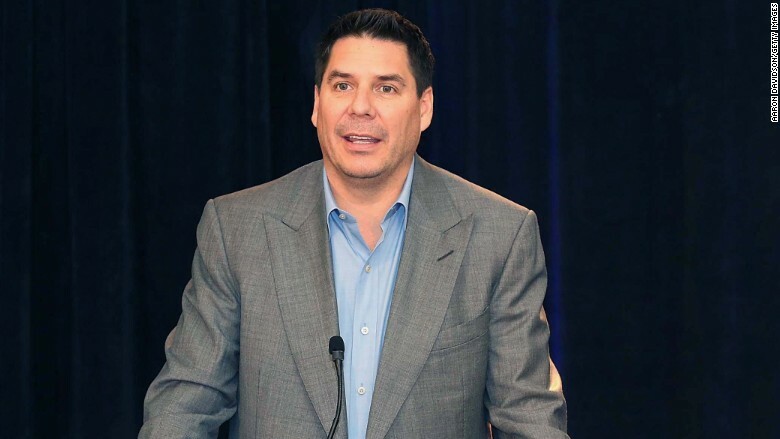 Sprint's network will be the best in the United States by 2017, CEO Marcelo Claure says. Sprint CEO Marcelo Claure has made a bold statement: By 2017, its network will perform better than Verizon, AT&T or T-Mobile. "We will have the best network in the next two years," Claure told CNNMoney in an interview Friday. That echoes comments Claure made in May, when he said Sprint would be among the "top two" in terms of overall network performance in the United States. Now, he is throwing down the gauntlet, saying Sprint will leapfrog all the competition. The quality of Sprint's network is improving -- but it's still not all that great. Sprint is currently in third place among the major four carriers, according to independent mobile network surveyor RootMetrics. The carrier's fastest median speed (17 megabits per second) was the slowest of the competition and half that of leader Verizon. Sprint was tied for the best overall network performance in just 7 of the 125 metropolitan areas RootMetrics measured, and it was the fastest network in just one city (Dayton, Ohio). Though RootMetrics noted that Sprint tested much better in the first half of 2015 than it did in the last half of 2014, clearly Sprint still has a long way to go. So how is it going to get to No. 1 so quickly? Sprint (S) has the tools to do it -- it's always just been a question of using them the right way. After its 2013 purchase of mobile network Clearwire, Sprint is sitting on a boatload of wireless spectrum (the airwaves over which cellphone data travels). In fact, Sprint has more spectrum than any of its competitors. "We have a big advantage over Verizon," said Claure. "We have half their customers and twice the amount of spectrum." The problem is that Sprint's spectrum is in a significantly higher range than where most cell signals broadcast. The lower the bandwidth, the easier it is for the airwaves to travel long distances and penetrate solid objects, such as walls and windows. That's why T-Mobile paid more than $2 billion for a small chunk of Verizon's low-range spectrum -- it's like beachfront property, compared to Sprint's spectrum out in the boonies. To take advantage of its spectrum, Claure says Sprint needs to deploy three times the amount of cell towers as Verizon. It's expensive -- but worth it in the end. That's because Sprint's spectrum has a trick up its sleeve: higher-range airwaves allow you to offer much higher speeds. Once Sprint completes its network overhaul, it's not hard to imagine that it will be the fastest in the country. "We want 80% of markets to be number one or two in overall performance," said Claure. "When that day that comes, it will be harder for Verizon (VZ) and AT&T (T) to compete, and we will be the big winner." Meanwhile, Sprint has slashed prices in order to stop some of the bleeding. It lost 3 million customers in two years, falling behind T-Mobile (TMUS) into last place in terms of subscribers. The low-cost plans include the new "iPhone forever" deal, which allows customers to lease an iPhone for $15 a month and upgrade anytime a new iPhone debuts. Those deals have helped Sprint grow its customer base for the past several months. "There's not a lot of homework you have to do, Claure said. "With just some basic math, you'll realize Sprint is best on price."